Jen and Kate were looking to avoid the stress and unnecessary headaches sometimes associated with planning a big wedding. 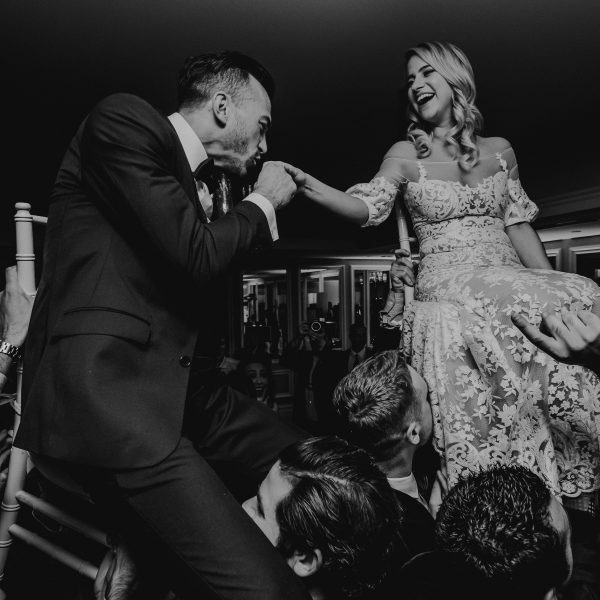 So after some discussion they decided to pass on the traditional big production that can be a modern wedding and instead opted for eloping in Palm Springs. 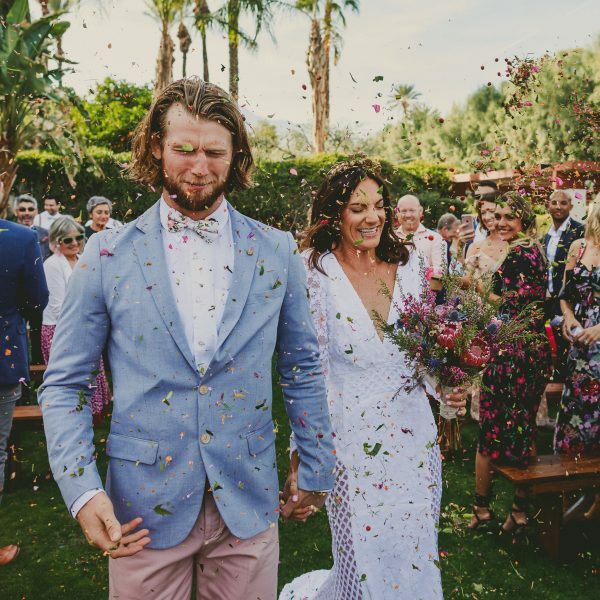 That decision had some ripple effects because it connected these two girls to this Palm Springs wedding photographer who was probably just chilling on his couch enjoying a cold beer at the time. But the universe was going to bring us all together soon enough, and I am glad it did because it was an absolute honor to photograph Jen and Kate during their intimate Palm Springs elopement. 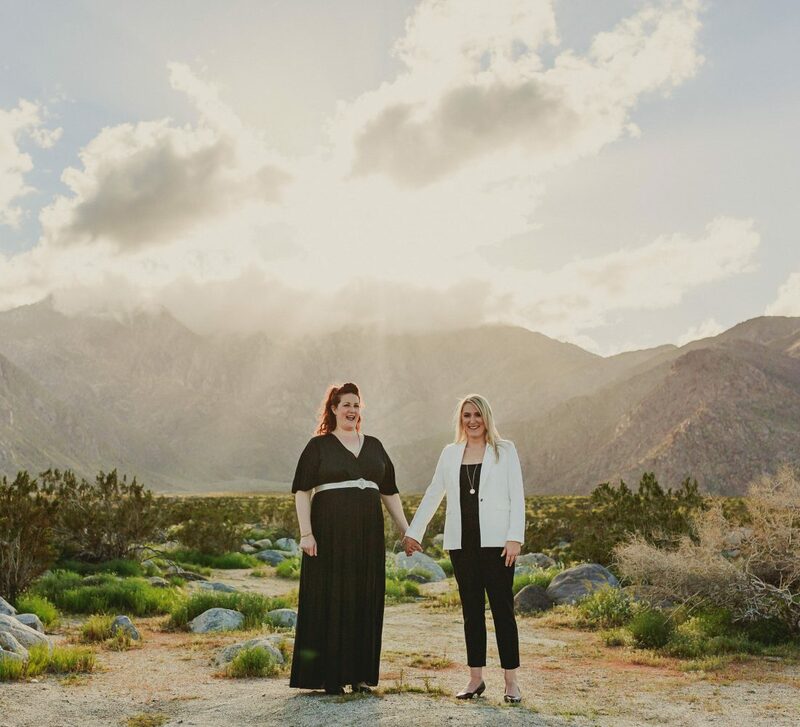 Below are some of the photos of Jen and Kate from their intimate destination wedding at the Dazey Desert House along with some images throughout the city of Palm Springs, California. The Palm Springs elopement started at the Dazey Desert House with just Kate, Jen, the wedding officiant and myself. The whole vibe was completely relaxed, which really is how I think a wedding day should feel. After Kate and Jen said “I Do” in the backyard of the Palm Springs 70s style rental home we headed off to the desert before finishing off the day at the Saguaro Hotel. Honestly, the weather was perfect for photography the entire day of the elopement because the sun was breaking a little through the clouds which gave off this wonderful warmth. Not to mention, some pretty epic light beams that bursted through the clouds during our time outside the Palm Springs Visitor’s Center were unexpected and much appreciated. Anyone wanting to stay or shoot at the Dazey Desert house can view the property at 22359 Fawnridge Drive, Palm Springs, California. The Palm Springs 70s style rental really has that mid-century vibe, and the San Jacinto mountain backdrop is truly amazing! 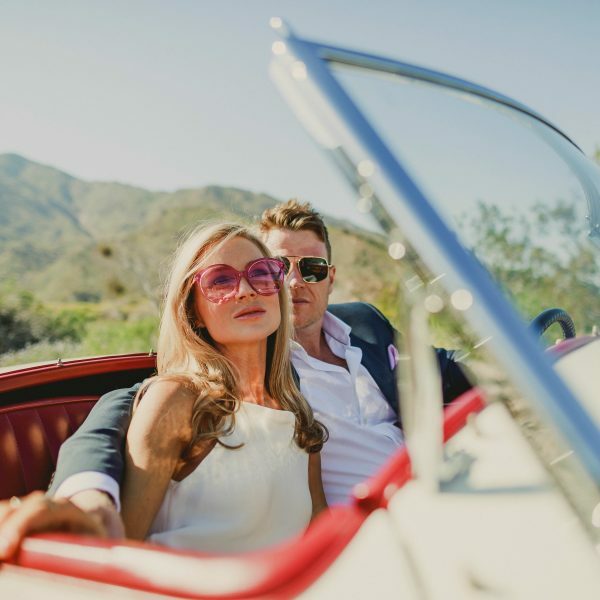 Those interested in viewing more Palm Springs wedding photography can checkout an elopement in Palm Springs featuring Australians Rach & Dane, or Brianna & Joe’s Joshua Tree elopement photography.